It’s National Ice Cream Month! 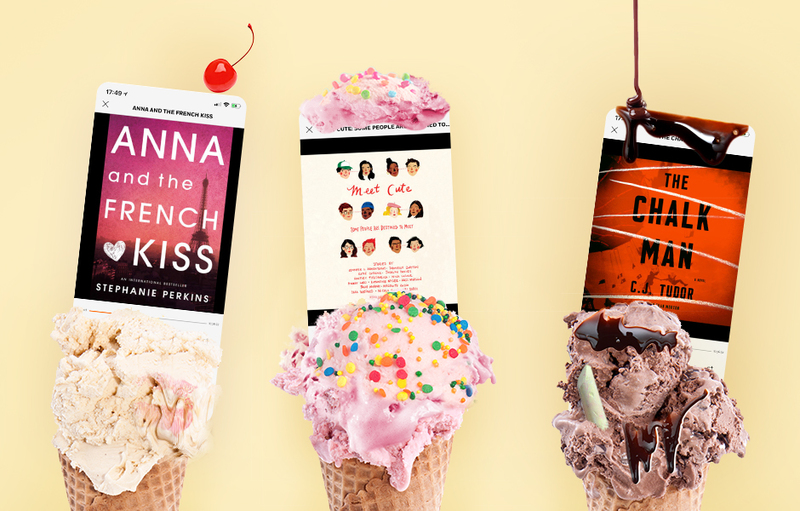 It’s said that your favorite ice cream flavor reflects your personality, but did you know it can also reveal the audiobooks you should be listening to?We’ve curated a list of titles to listen to while you enjoy a sweet treat. Rocky Road: Ready for a Road Trip? Two Truths and a Lie. The girls played it all the time in their cabin at Camp Nightingale. Vivian, Natalie, Allison, and first-time camper Emma Davis, the youngest of the group. But the games ended the night Emma sleepily watched the others sneak out of the cabin into the darkness. The last she–or anyone–saw of them was Vivian closing the cabin door behind her, hushing Emma with a finger pressed to her lips. Years later, when Emma’s paintings catch the attention of Francesca Harris-White, the wealthy owner of Camp Nightingale, she implores Emma to return to the newly reopened camp as a painting instructor. Seeing an opportunity to find out what really happened to her friends all those years ago, Emma agrees. Hannah is finally about to have everything she ever wanted. With a high-paying job, a Manhattan apartment, and a boyfriend about to propose, all she and Ethan have to do is make it through the last couple of weeks of grad school. But when, on a romantic weekend trip to Sonoma, Hannah is spontaneously offered a marketing job at a family-run winery and doesn’t immediately refuse, their meticulously planned forever threatens to come crashing down. And then Hannah impulsively does the unthinkable – she takes a leap of faith.